Will Windows 10 be the catalyst for the remaining Windows XP users to upgrade? XP holdouts to finally take the plunge? 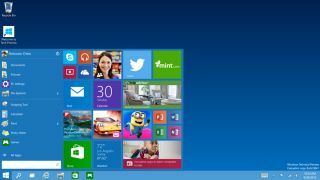 Microsoft unveiled Windows 10 recently and bolstered the new edition of the popular operating system with features end-users have been requesting from the company since it introduced Windows 8. From a business point of view, Windows 10 restores some familiar features, including the Start menu, but it is unlikely to act as a catalyst for a widespread business adoption as it doesn't have a 'hot new feature'. Businesses have had ample time to move from Windows XP to Windows 7 or higher and that transition has proceeded quite well. Where there are still a number of Windows XP users out there, Windows 10 might seem like a great proposition for a system upgrade. However, those users on Windows 7 are likely to remain on Windows 7, mainly due to the lack of a major new feature, which would necessitate an upgrade. A portion of users will upgrade as they are early adopters, touchscreen users, and those who do like the post-Windows 8 look and feel. Some of the key areas that could tempt the larger organisations to move to Windows 10 include the improved and expanded security features via Enterprise Data Protection (EDP). This means that users' personal data stays personal and corporate data stays on the corporate side, similar to Samsung Knox. For Windows power users, the virtual desktops could offer a new and exciting way of getting work done, but it means that Microsoft would need to find pockets of those users within businesses to make a case for the feature. Another interesting area of focus for future development is whether Windows 10 will become a cross-platform operating system. Will this be the one operating system that runs from users' desktop, tablet, phone and Xbox? The interface is supposed to adapt to your end point device. At the moment, it may be a niche, but Microsoft's mobile ecosystem is still growing, so it could be something that would work favourably for Microsoft. For businesses, any software upgrade will always come down to the benefits an upgrade will deliver balanced against what the cost will be. And an organization-wide upgrade to Windows 10 could be costly. The final piece of the puzzle for businesses is the updates. No matter what the operating system, it will need to be kept up-to-date along with any third-party applications you are using. Companies need to apply relevant updates to keep their IT estates as risk-free as possible, and avoid any exploits that could lead to downtime or the loss of corporate – or customer – information. In the consumer space, those who already run Windows 7 will most likely stick with it. Those on XP will most likely remain on XP as virtual desktops aren't relevant to their needs, and the refreshed interface with touch support will not change the applications they have used for years. Sergio Galindo is general manager, infrastructure business unit, for GFI Software.